When shopping for a new HDTV, make sure it is HDCP compliant or else you might have trouble watching TV and movies. 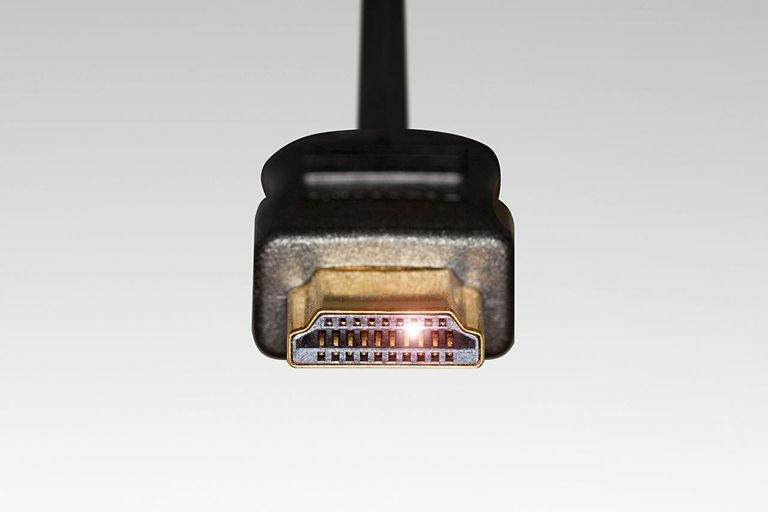 Learn the meaning of terms like HDMI, HDCP, and DVI to help you make an informed purchase. High-Bandwidth Digital Content Protection, or HDCP, was developed by Intel Corporation as a security feature to protect copyrighted material. It requires compatibility between the sender and the receiver. In other words, a cable box with built-in HDCP technology will only work with TVs that are HDCP compatible. Think of HDCP as a security license key for installing a computer program. It works by encrypting a digital signal with a code that requires authentication from the transmitting and receiving the product. If authentication fails, then the signal fails, which means no picture on the TV screen. The purpose of HDCP is to prevent people from copying movies, video games, TV broadcasts, and other media for distribution. Since digital technology has made sharing copyrighted content much easier than it used to be, the film industry has embraced HDCP technology through Blu-ray discs. Indeed, movies and games on Blue-ray will not work on a TV without HDCP compatibility. Services like HBO and Netflix have also adopted HDCP to protect their properties. What Does an HDCP Error Mean? There is no firmware upgrade that can turn a non-HDCP input into an HDCP-compliant input. If you bought an HDTV a few years ago, then you may get an HDCP error when connecting a Blu-ray disc player to your TV via an HDMI cable. This would force you into either using a non-digital cable, buying a new HDTV, or getting rid of the Blu-ray player. HDCP is a purely digital technology that relies on DVI and HDMI cables. That's why you'll often see acronyms like DVI/HDCP and HDMI/HDCP grouped together. HDMI stands for High-Definition Multimedia Interface. It's a digital interface that allows your HDTV to render the best uncompressed digital picture possible. HDMI has tremendous support from the motion picture industry. It was created by some of the heavyweights in the consumer electronics industry like Hitachi, Matsushita, Philips, Silicon Image, Sony, Thomson, and Toshiba. HDMI sends the audio and video signal in one cable. DVI only transfers video, so a separate audio cable is necessary. HDMI is significantly faster than DVI. Many recently manufactured TVs are HDCP compliant; however, if you buy an older set, you may not be able to watch movies, play games, or even watch Netflix. Regardless if your HDTV uses HDMI or DVI, verify that it has at least one input with HDCP support before making a purchase. Not every port on the TV will be HDCP compliant, so read the user manual before you start connecting cables to your TV. What Is HDCP and How Does It Affect My Blu-Ray Player?